Watch hair loss, hair thinning, hair regrown, hair loss treatment, alopecia areata, male & female pattern thinning videos from hair loss specialist Shuna Hammocks. Hair loss in women is frightening at any time. This also includes the time following having a baby. Post partum hair loss is a natural process. In most cases it is totally normal and settles on its own. 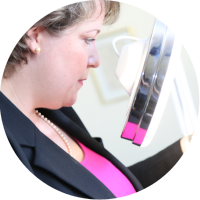 Episode 4 – What Happens When You First Attend Sussex Trichology? Episode 2 – Why Hair Is So Important To Us?